The suspension of California executions may not dent the total national number. 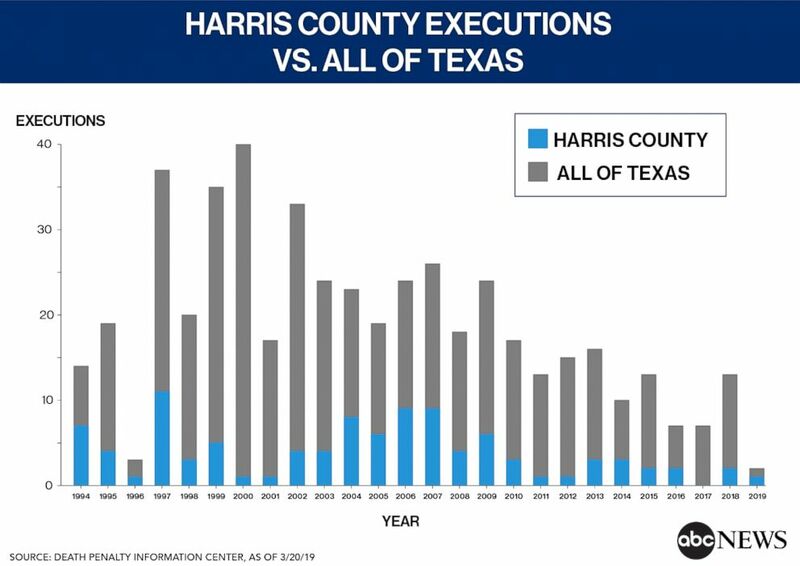 While the governor of the country’s most populous state halted death penalty executions, that decision may not have a national impact. 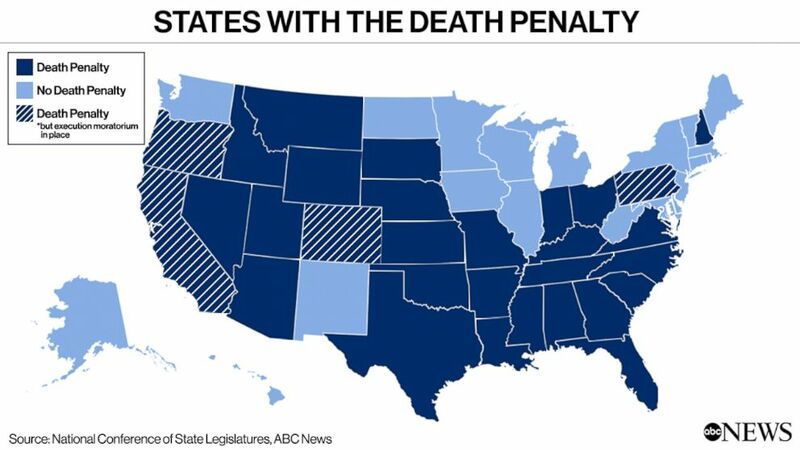 Since the 1976 ruling, there have been 56 executions in Ohio, seven in Utah, four in South Dakota and three in Montana, according to data from the DPIC. 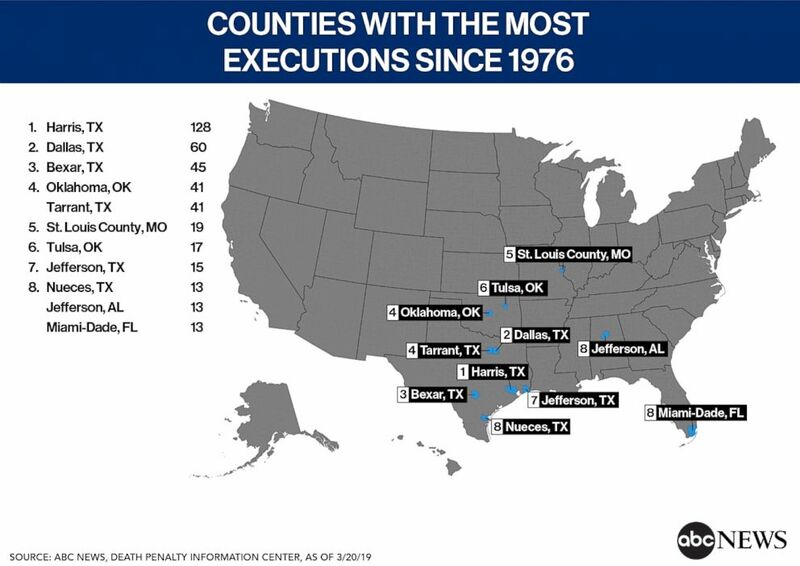 By comparison, there were 72 executions in Georgia, 97 executions in Florida, 112 executions in Oklahoma, and 113 executions in Virginia, the data shows. 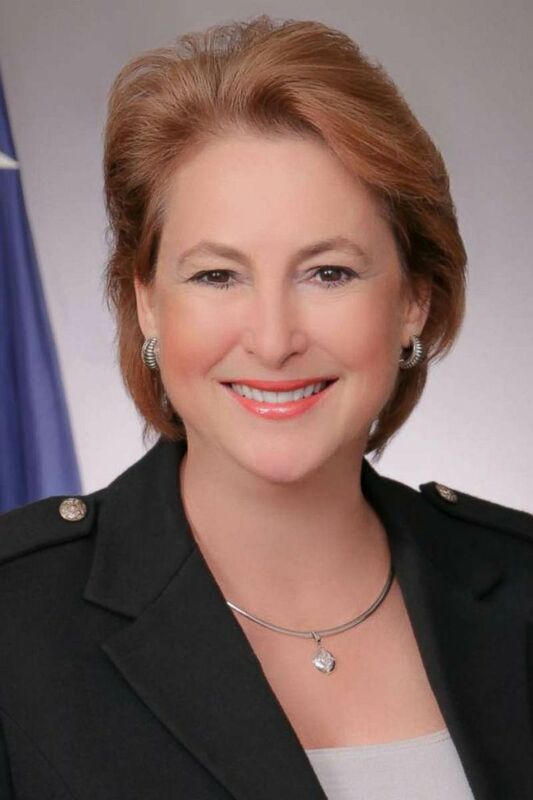 (Harris County District Attorney) Kim Ogg, Harris County District Attorney.